It’s easy to take your roof for granted—until it starts falling apart. To make things worse, there are plenty of roofing contractors out there that will push for repairs or full replacement because it’s their preferred kind of work, not because it’s what your roof actually needs. In reality, there are several factors you should consider when trying to decide if it makes sense to repair your roof again, or whether you’re better off with a brand new roof. 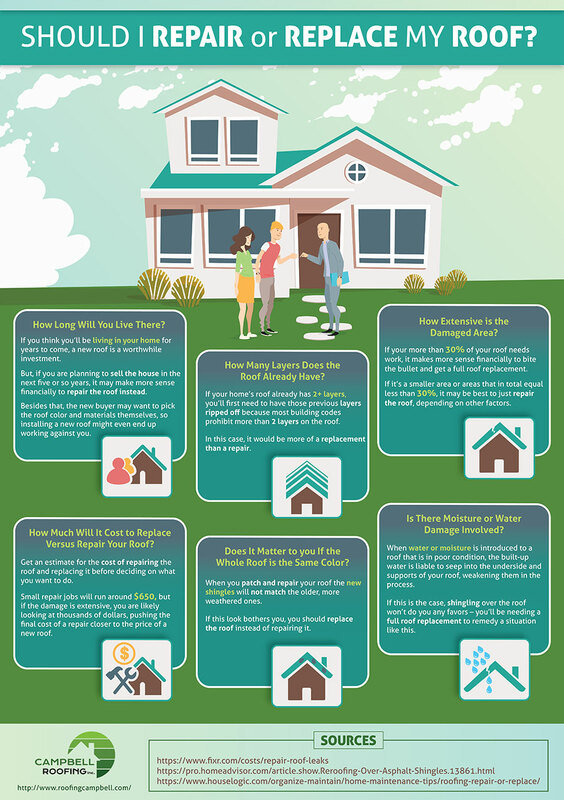 While there is no hard-and-fast answer to which approach is better for your needs, being cognizant of these factors will help you make the right decision for your home, your family, and your bank account. Of course, if you have a local roofing contractor that you know for a fact you can trust, there is no substitute for an expert opinion.